Three years before Congress passed the Federal Reserve Act, representatives of European and American banking families clandestinely gathered at an exclusive get-away owned by J. Pierpont Morgan and John Davison Rockefeller. After more than a week of intense negotiations, they hammered out the agreement for the “United Reserve System” [today’s “Federal Reserve System”]. Before and after this meeting, Democratic Morgan and Republican Rockefeller clashed. But in 1910, banking competitors and adversaries came to an amicable agreement. Along with Rockefeller and Morgan agents, representatives of the oldest European banking Houses framed the structure for the world’s greatest credit-monopoly. They named their new bank the “United Reserve Bank of the United States” [now Federal Reserve Banks]. Although the agreement for their “United Reserve System” was made in secret, details of the conclave were disclosed after 1913 [after the “Federal Reserve System” became U.S. law]. Articles, interviews, and books began to appear in which the emissaries of banking dynasties described the nine-day event. DR. ABRAM PIATT ANDREW represented Rockefeller and Morgan interests. He edited and framed publications for the United States National Monetary Commission. Dr. Andrew was Assistant Treasury Secretary. FRANCIS A. ‘Frank’ VANDERLIP, Sr. was a representative of the financial interests of William Rockefeller and Kuhn-Loeb & Co. Vanderlip was President of Rockefeller’s National City Bank of New York [largest U.S. bank]; he was Assistant Treasury Secretary under President McKinley. HENRY POMEROY DAVISON represented Morgan interests [Morgan’s personal assistant]. He was Senior Partner at JP Morgan & Co, President of Liberty National Bank and First National City Bank of New York. Davison was John Davison Rockefeller cousin; founded Bankers Trust Co.
CHARLES D. NORTON represented Morgan interests. He was Vice President of Morgan-controlled First National Bank of New York [later President]. BENJAMIN STRONG, Jr. represented Morgan interests [Morgan’s personal auditor]. He was head of Morgan’s Bankers Trust of New York. Strong became first Governor of the New York Federal Reserve. PAUL MORITZ WARBURG was Senior Partner Kuhn Loeb & Co [later Shearson Lehman American Express]; liaison for MM Warburg & Co [Germany, the Netherlands]; representative of House of Rothschild [England, France]; Chairman Manhattan Co [JPMorgan Chase & Co]; Director American IG Chemical Corp [wholly-owned U.S. subsidiary of German cartel IG Farben]. SENATOR NELSON ALDRICH represented Rockefeller interests and was allied with House of Morgan. The former banker was father-in-law of John Davison Rockefeller, Jr., grandfather of Vice President Nelson Aldrich Rockefeller and David Rockefeller. Paul Warburg was not yet a U.S. citizen, so his plan for a central bank with regional branches was called the “Aldrich Plan.” Senator Aldrich was Chairman of the “National Monetary Commission” which made recommendations to Congress for banking reforms. On Jan. 11, 1911, the Chairman of the National Monetary Association recommended Warburg’s “National Reserve Association” to Congress. However, a Congressional majority rejected the monopolistic scheme. In those days, the public and the press were ‘up in arms’ about monopolies. The “New York Times” reported a vast and growing concentration and control of money and credits in the hands of a few men [Jan. 12, 1912]. For the next year, the U.S. Congress held public hearings to investigate the small group the press called the ‘Money Trust.’ In their Pujo Report [Feb. 28, 1913], a Congressional committee said a handful of financiers had formed a “cartel.” The Committee to Investigate Money and Credit Control Concentration unanimously named Paul and Felix Warburg, Jacob Schiff, William Rockefeller, Benjamin Strong Jr., J. P. Morgan, and others as a cabal of financiers. QUESTION: How could the Money Trust possibly sell their “United Reserve System” to alarmed citizens who were vehemently opposed to a central bank? ANSWER: They waged a brilliant and expensive public-relations campaign in favor of a Regional Banking System. Regionalism was stressed to win over businessmen in America’s heartland. Bankers in the Midwest were told a twelve-bank Regional-Reserve-System would disperse banking power across the nation. To convert Democrats, promotional literature emphasized the decentralization of banking. From East to West, leaders were assured power would no longer be concentrated in New York City. Across the country, respected businessmen (rather than bankers) led so-called “grassroots” organizations to study the new banking reforms. Groups such as the “National Citizens’ League for the Promotion of a Sound Banking System” sprang up to promote the new regional plan. Trusted ‘experts’ in economics wrote editorials about the need for a regional system. When negative sentiment began to turn, the Money Trust chose Democrats to sponsor banking legislation. Then they distanced themselves from the “Glass-Owen Bill.” The “Glass-Owen Bill” added restrictions to the international banking agreement the cartel had forged in 1910. But in essentials, the Federal Reserve System mirrored Warburg’s original plan for the central bank. In order to get the bill passed, Rockefeller-Republicans Aldrich and Vanderlip spoke out in strong opposition to their own plan. Senator Aldrich attacked the bill, calling it socialism, fiatism, and populism. Rockefeller opposition was all that was needed to turn the tide. Former opponents decided the new Federal Reserve System really was for the working man. Congress hailed the Federal Reserve Act as a democratic victory over the Money Trust! The 1913 Federal Reserve Act legalized the private credit-monopoly of an international cartel. “Cartel: An association between financial interests for establishing a national or international monopoly by the fixing of prices, a trust.” [Webster’s New Twentieth Century Dictionary, George Ogilvie, USA, 1904.] It is common for financial interests to form partnerships with governments. For example, the Organization of Petroleum Exporting Countries [OPEC] is an oil cartel that formed a partnership with the U.S. government to peg the price of oil to the dollar . Congress does not [may not] audit the Federal Reserve because the private bank is not a government agency. The international cartel has the appearance of a governmental organization because the Federal Reserve has a legal partnership with the government; U.S. law backs the cartel. Over the years, additional laws have removed the original restrictions and re-enforced the partnership. AN “ELASTIC MONEY SUPPLY” MEANS MORE WAR. Governments go into partnership with banking cartels so politicians can spend without set limits. War is an expensive business. Since 1913, Federal Reserve credit creation has made war-financing easy. 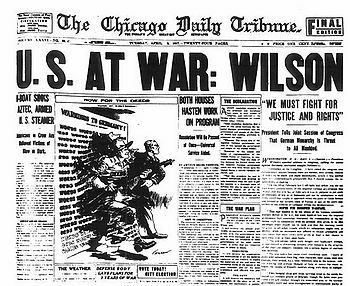 The U.S. was involved in war one out of every four years in the last century. In this century, warfare has been non-stop: Twenty-one years in Iraq; eleven years in Afghanistan; ten years in Vietnam/ Southeast Asia; Libyan invasion; covert operations in Ukraine, Syria, Yemen, Iran, Pakistan, South America, Central America, and Africa; the Dept. of Homeland Security, CIA, TSA, FEMA, NSA; foreign/ domestic drone-surveillance; 700+ military bases in 140 countries. Before Congress gave the Federal Reserve exclusive control over the money and credit of the United States, America was the greatest creditor-nation. Today, the U.S. is the greatest debtor-nation in world history. As our national debt grows, the cartel is getting richer, and Americans are getting poorer. Solution: END THE FED. * From the Federal Reserve Bank of St. Louis: A Foregone Conclusion, Chapter Two, Banking Reform 1907-1913, (Degen, American Monetary System, 25); Robert Craig West, Banking Reform and the Federal Reserve (Ithaca, 1977), 76-77, 82, 84-85; Paul Warburg, The Federal Reserve System; Its Origin and Growth (New York, 1930), II, 201-214. First Board of Governors of the Federal Reserve: Paul M. Warburg was President of the Federal Advisory Council until 1927 and set policy for the Board (his brother-in-law was Jacob Schiff of Kuhn-Loeb & Co, Director Wells Fargo Bank, National City Bank of New York, Associate EH Harriman Company); George Skelton Williams; W.P.G. Harding (Director War Finance Corporation); Adolph C. Miller; Charles Sumner Hamlin (Asst. Secretary Treasury); William G. McAdoo (President Wilson’s son-in-law. ); and Rockefeller man Frederic A. Delano (Franklin Delano Roosevelt’s uncle, Brookings Institution, Carnegie Endowment Trustee). UBS WARBURG: Union Bank of Switzerland and Swiss Bank Corp [SBC] were predecessors of UBS [Warburg]; UBS merged with SBC; Crédit Suisse was integrated into SBC Warburg Division [renamed SBC Warburg Dillon Read]; SG Warburg & Co merged into Swiss Bank Corp . EM Warburg & Co is now Warburg Pincus [Timothy Geithner, former U.S. Treasury Secretary, is now President of Warburg Pincus]; UBS owns Warburg Pincus Asset Mngmnt Div. Banking “reforms” always consolidate power. 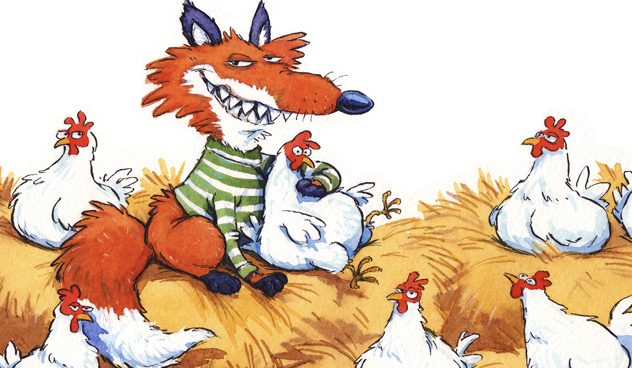 A ‘Fox’ was in charge of the hen-house in 1913 when Sen. Aldrich led the National Monetary Commission; Sen. Chris Dodd was ‘Head Fox’ in 2010: The “Dodd-Frank Financial Reform Bill” guarantees future bail-outs for the too-big to fail banks, and serves to eliminate regional bank competition. The onerous regulations in Dodd-Frank put regional banks at a disadvantage; the cartel can easily conform to the costly reforms with the bailout money they got from Congress. After the 2008 crash, the big banks received billions from the Troubled Asset Relief Program [TARP]. They used the money to buy up “troubled assets:” regional banks, investment firms, and about $1.3 trillion of “Mortgage-Backed Securities” [making the Federal Reserve the largest private holder of residential real estate in the United States]. 2 Responses to The Federal Reserve is a Cartel. You see, the reality is that the money supply is designed to constantly expand under the Federal Reserve system. That is why we have all become accustomed to thinking of inflation as normal . I appreciate your remark. You are so right.